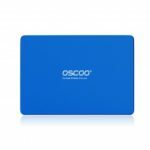 This OSCOO SATA 3 2.5 inch SSD enables faster boot-ups and shutdowns. Its incredible read/write speeds will not only increase performance and application response time but also breathe life into existing systems. Build-in memory function can help you keep your data safety. Delicate design with outstanding quality, great option for you. 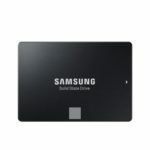 It enables faster boot-ups and shutdowns. Its incredible read/write speeds will not only increase performance and application response time but also breathe life into existing systems. Sequential Read/Write speeds up to 540MB/s and 200MB/s respectively. It is equipped to store all your programs and media files. You can get a perfect solution to your PC both speed and capacity. Build-in memory function can help you keep your data safety. With SATA interface, it is compatible with most desktop, laptop and PC. Delicate design with outstanding quality, great option for you. 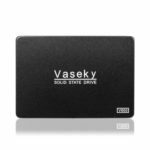 This product comes with easy, step-by-step instructions to help you set up your new drive easily and quickly.